A new analysis has found that low levels of vitamin D are independently associated with low levels of testosterone in healthy middle-aged men. Researchers analyzed blood samples from 824 men who participated in the World Trade Center CHEST program for a range of biomarkers and found the tie between 25-hydroxyvitamin D and total testosterone. 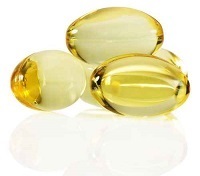 Most of the men (68%) had naturally low levels of 25-hydroxyvitamin D, which was defined as below 30 ng/L, and only 11% of the men took vitamin D supplements to correct the shortage. The men who failed to correct the deficiency, on average, had total testosterone levels of 319.6 ng/L, while men who took supplements, and men with naturally sufficient levels of vitamin D, had total testosterone levels that averaged 341.7 ng/L (P=.012). Lower levels of vitamin D were also associated, probably because of the lower testosterone, with higher body mass indexes (30.8 kg/m2 for those with low vitamin D compared to 29.12 kg/m2 for those with normal vitamin D levels; P<.001) and larger waist circumference (41.3 inches vs. 39.8 inches; P<.001) as well as less favorable lipid profiles. Previous studies on mice have also found that low levels of vitamin D are associated with low testosterone levels. There is also some prior evidence of the connection in humans. A 2011 paper published in Hormone and Metabolic Research told of a small trial on 54 men who were overweight but otherwise healthy. Initial vitamin D levels were less than 50 nmol/L, while total testosterone levels were 9.09–55.28 nmol/L. Patients received either 83 μg (3,332 IU) of vitamin D every day for a year (n=31) or placebo (n=23). At the end of the study period, vitamin D concentrations increased by an average of 53.5 nmol/L in the vitamin D group, but held steady in the placebo group. The vitamin D group also experienced a significant increase in total testosterone levels (from 10.7±3.9 nmol/L to 13.4±4.7 nmol/L; p<.001), bioactive testosterone (from 5.21±1.87 nmol/L to 6.25±2.01 nmol/L; p=.001), and free testosterone levels (from 0.222±0.080 nmol/L to 0.267±0.087 nmol/L; p=.001). The placebo group, on the other hand, saw no significant change in testosterone levels. Authors of the new study, who presented their findings at the American Urological Association’s annual meeting in New Orleans, speculated that the body may need vitamin D to create testosterone and that low supplies of the nutrient might put an artificial limit on testosterone production in some men. The conclusions of both studies conflict with those from an analysis that was published in Clinical Endocrinology at the beginning of the year. That took data from 3 trials that randomly assigned 184 men of different ages and ethnic backgrounds to receive either 25-hydroxyvitamin D or placebo. Vitamin D doses ranged from 600 IU per day to 2,000 IU per day and trial durations ranged from 6 weeks to 16 weeks. Blood was drawn from all patients at baseline, the halfway mark of each trial and at the end of each trial. Serum 25-hydroxyvitamin D levels were measured using LC-MS/MS or radioimmunoassay. Testosterone levels were measured using a second-generation immunoassay. Vitamin D levels held steady in all 3 of the control groups but increased in all 3 of the study groups. Median increases ranged from 27 nmol/L to 36 nmol/L. Testosterone levels, however, did not increase significantly — not even among men who began trials with vitamin D deficiencies. The researchers behind that analysis noted, however, that none of the underlying studies was particularly large or lengthy, so questions about the connection between vitamin D and testosterone remain.